This year's maximum extent peaked at 5.71 million square miles (14.78 million square kilometers) and is 332,000 square miles (860,000 square kilometers) below the 1981 to 2010 average maximum—equivalent to missing an area of ice larger than the state of Texas. Beyond its seasonal wax and wane cycles, Arctic sea ice extent has been plummeting during both the growing and melting seasons over the last 40 years. The 2019 maximum extent breaks a string of record or near-record lows that started in 2015—but that does not necessarily mean that Arctic sea ice is recovering. 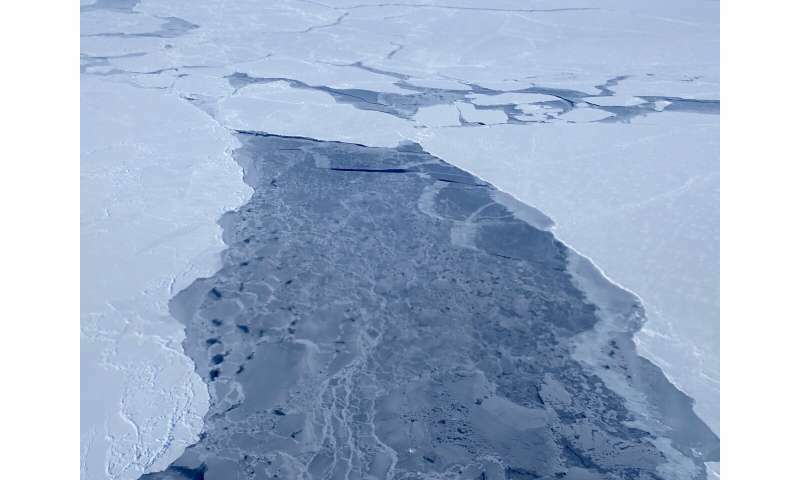 Rising temperatures in the Arctic over the past decades have also thinned the sea ice pack. Multiyear ice, the older and thicker ice that acted like a bastion against melting for the rest of the sea ice cover, has mostly disappeared. A 2018 study led by Ron Kwok, a sea ice researcher with NASA's Jet Propulsion Laboratory in Pasadena, California, found that 70 percent of the ice pack now consists of seasonal ice—sea ice that grows rapidly in the winter only to melt during the next summer. "The large changes in ice coverage associated with the loss of the multiyear ice pack have already occurred," Kwok said. "The seasonal ice now represents a larger fraction of the Arctic sea ice cover. Because this young ice is thinner and grows faster in the winter, it is more responsive to weather and makes the sea ice cover respond differently than before. It's not that we won't see new wintertime or summertime record lows in the next years—it's just that the variability is going to be higher."